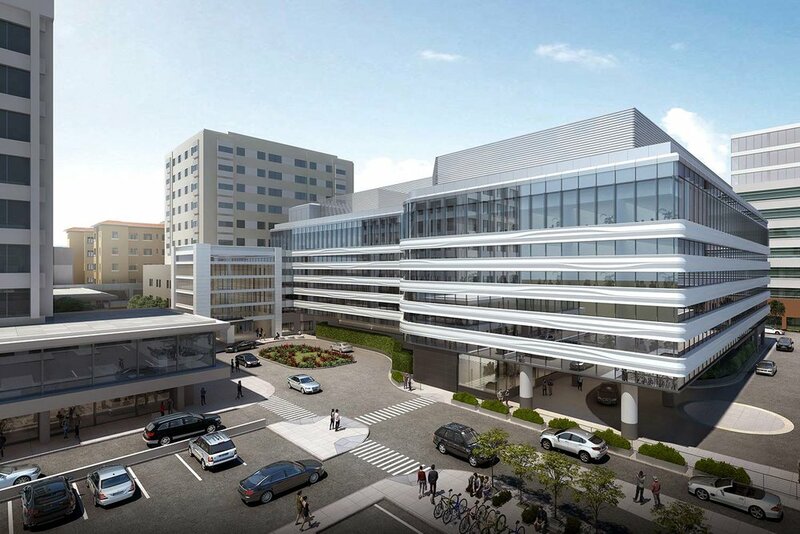 LOS ANGELES, CA, USA This new acute care building was designed per 2013 codes and has completed Design Development. It includes 32 acute care beds and a 22 station Emergency Department. 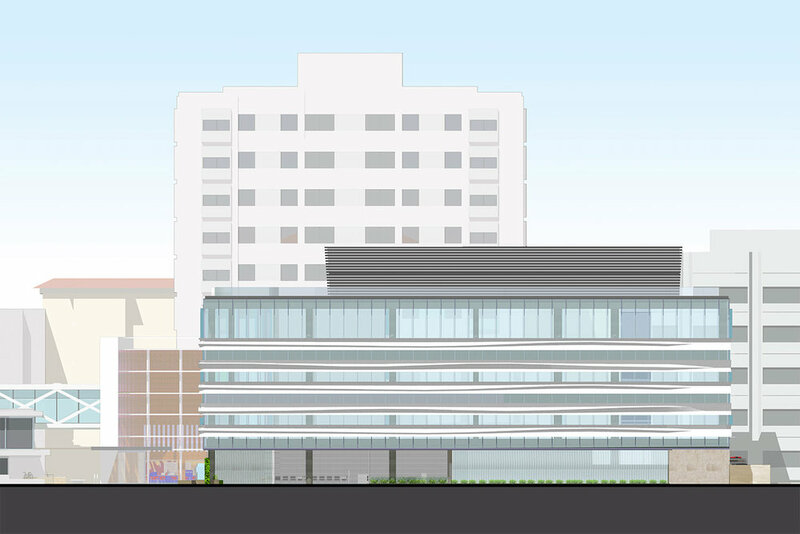 Within its surgical services area on the 4th floor, the new acute care building will provide nine new procedure rooms including space for two Cath Labs, a Cardiovascular OR, a Hybrid OR, an Ortho-Neuro OR and 4 general ORs, standardized for flexibility of use. The project includes a Patient focused Birthing Program with 11 LDRs, three C-Section Rooms, 19 NICU beds and a future Post-Partum Unit within the existing hospital. Support services include a kitchen, clinical lab, and morgue along with storage space. Other architectural commissions on the CHA HPMC campus include improvements to buildings that will qualify for an OSHPD SPC-2 designation through HAZUS seismic strengthening, in concert with the most current replacement project to accommodate all acute care services that must be in new compliant construction before 2020 and those that require replacement before 2030. The emergency department portion of the project is targeted for 2020 occupancy as other project elements continue to completion.